Workplace fatalities in the state of Washington increased roughly 32 percent in 2010, according to a Feb. 17 report (.pdf file) from the state's Department of Labor and Industries. With more than 140 workshops and sessions, registration is now open for the Oregon Governor’s Occupational Safety and Health (GOSH) Conference. The largest event of its kind in the Northwest, the conference will be held March 7-10, 2011 at the Oregon Convention Center in Portland. 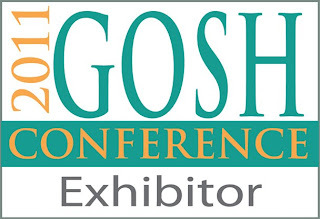 ESC will be hosting booth #125 on March 8-9 in the Exhibitors Hall. Stop by our booth and tell Eric or Tom you read our blog to receive an extra gift. On Thursday, March 10 from 9 a.m. - 4:30 p.m., ESC's very own Director of Training Eric Tofte will participate in a panel presentation on OSHA 10 hour - General Industry. On Wednesday, March 9, the event features a moderated panel discussion with Northwest business leaders who will share their perspectives on the importance of safety and health within their organizations. The conference also will feature session tracks on specialties such as health care, ergonomics, construction, emergency preparedness and response, alternative energy, safety for school districts, workplace culture and wellness. New to the conference this year is the Columbia Forklift Challenge. Trained forklift drivers will compete for cash in an obstacle course designed to test their skills and safe operation on Tuesday, March 8. Drivers across the state can plan for weather and road conditions by utilizing Washington State Department of Transportation Web and mobile tools and local media reports. The National Weather Service reports the significant winter storm that started today with snow should continue through Friday. Drivers can expect freezing temperatures and snow throughout the state and strong winds near the Canadian border. Real time traffic information is also available by calling 5-1-1. Chest discomfort. Pressure, fullness, squeezing or pain in the chest that lasts for a few minutes or comes and goes. Discomfort in other areas of the upper body. Pain or discomfort in one or both arms, shoulders, back, neck, jaw or stomach. Shortness of breath. Often accompanies chest discomfort. Other sign may include light-headedness, fainting, sweating or nausea. For more information about our first aid training, contact Stephanie Dyck or call 800-521-0778. Next week Executive Director Tom Odegaard and Director of Training Eric Tofte are taking an extended tour of Eastern Washington starting in Kennewick. Tom will start off the luncheon with an open discussion on current safety issues and concerns, and what ESC can do to help. This is a great networking opportunity for safety professionals. ESC will be hosting a booth at the 7th Annual Agriculture Safety Day Conference at the Three Rivers Convention Center, Tri-Cities! Stop by our booth and tell Eric or Tom you read our blog to receive an extra gift. This luncheon will follow the same format at the Kennewick luncheon. The National Gasoline Safety Project is using Burn Awareness Week (Feb. 6-12) to emphasize the dangers – particularly to children – of using gasoline to start fires for barbecue grills or campfires, or to burn trash. Cardiac arrests that can be treated by an automated external defibrillator are more common in public settings than at home, according to a study released Jan. 26 from the National Institutes of Health. Comparing data from more than 14,000 cardiac arrest patients, researchers found a higher percentage of ventricular tachycardia and ventricular fibrillation – the types of abnormal heart rhythms that can be treated through electric shock – occurred in public settings. More than one-third of people treated in public with an AED survived, which is significantly higher than the overall national average cardiac arrest survival rate of 8 percent. The at-home survival rate for cardiac arrests treated with an AED was 12 percent. "These survival results affirm the value of putting AEDs in public locales," said Myron Weisfeldt, lead author of the study. "Even though the overall frequency of VT/VF arrests has declined over the past few decades, they are still a fairly common occurrence in public settings." Researchers suggested the difference in cardiac arrest types in public settings versus home settings may be due to the fact that individuals who spend more time in public places may be younger and more active, making them more predisposed to VT/VF arrest. The study was published in the New England Journal of Medicine, (Vol. 364, No. 4).